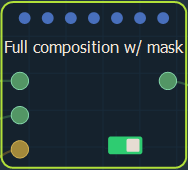 This node gives maximum freedom to compose two mask. 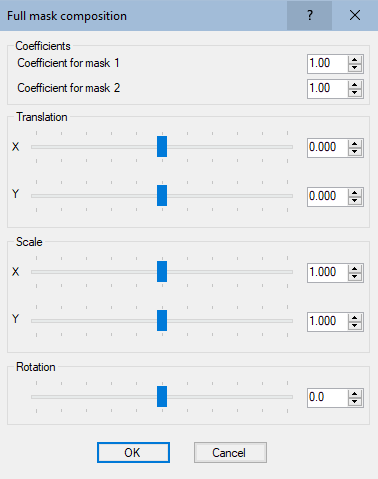 The second mask can be translated in the X and Y axis, scaled, and rotated before composing it with the first mask. 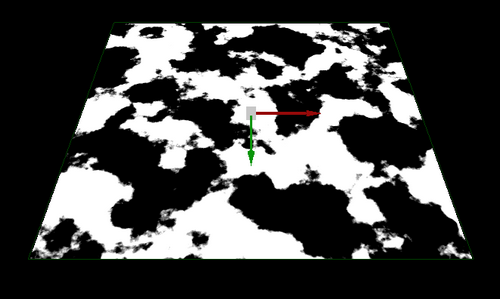 To add a Full composition node, right click in the Graph Editor and select Create Node > Terrain Composition > Full composition. Right-click on the mask to change to the rotate gizmo. Drag the mouse when the gizmo is highlighted in yellow to change the angle of rotation.